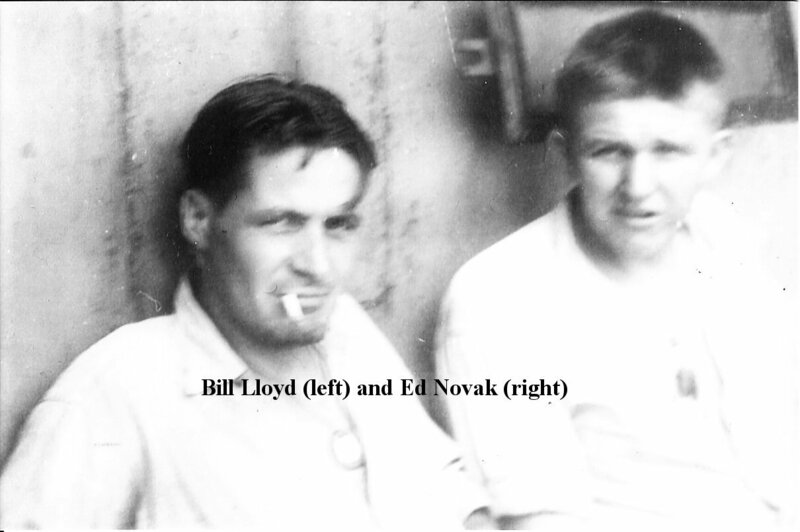 Laid down, 10 July 1942, at Kaiser, Inc., Vancouver, WA. 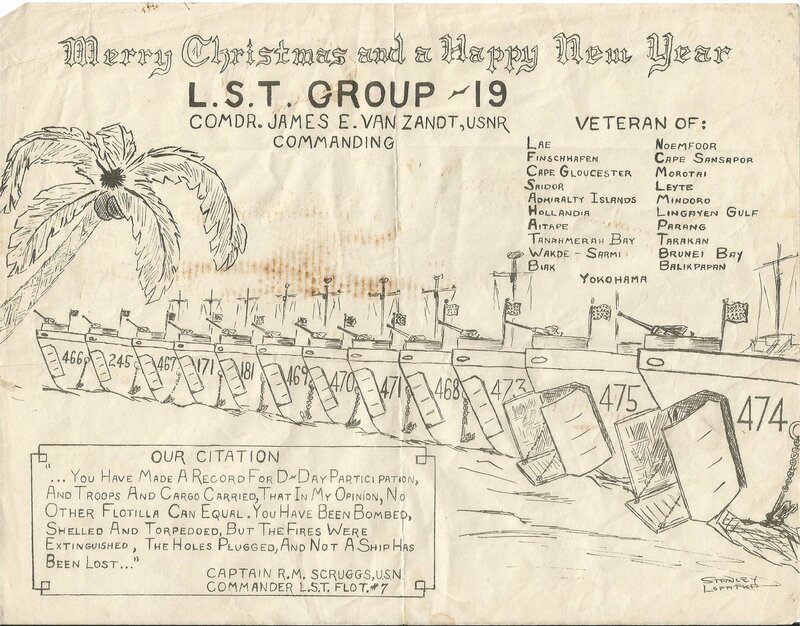 Final Disposition, sold for scrapping, 17 December 1947, to Ships and Power Equipment Corp., Barber, N.J.
USS LST-18. 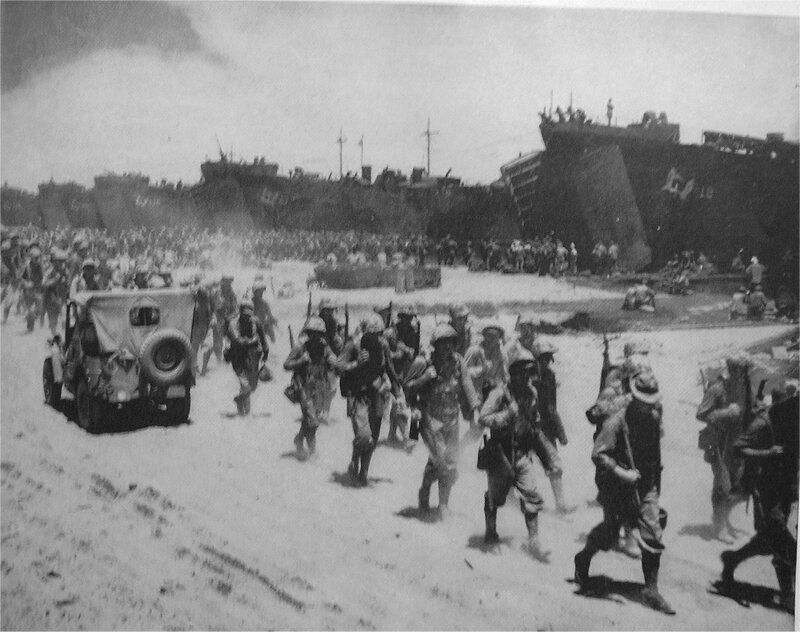 Note Marines marching by Jeep in foreground. 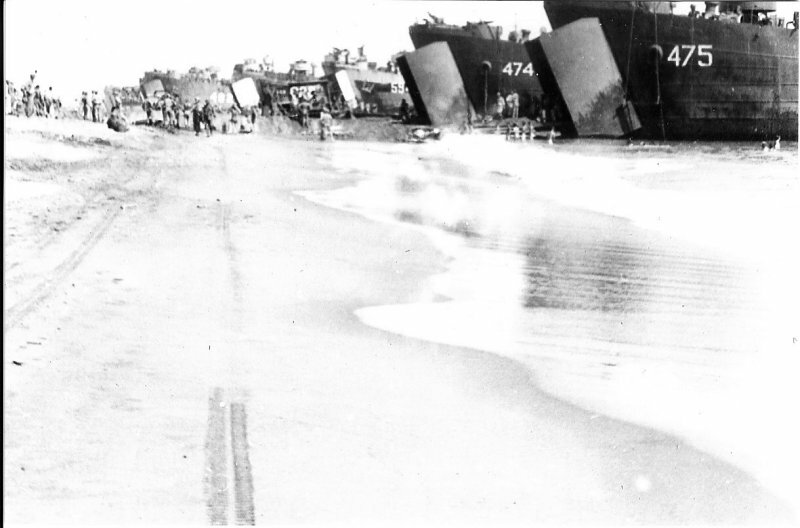 51k USS LST-474 beached at Aitape, North East New Guinea, 22 April 1944, while Royal Australian Air Force Engineers unload their heavy equipment across the beach. 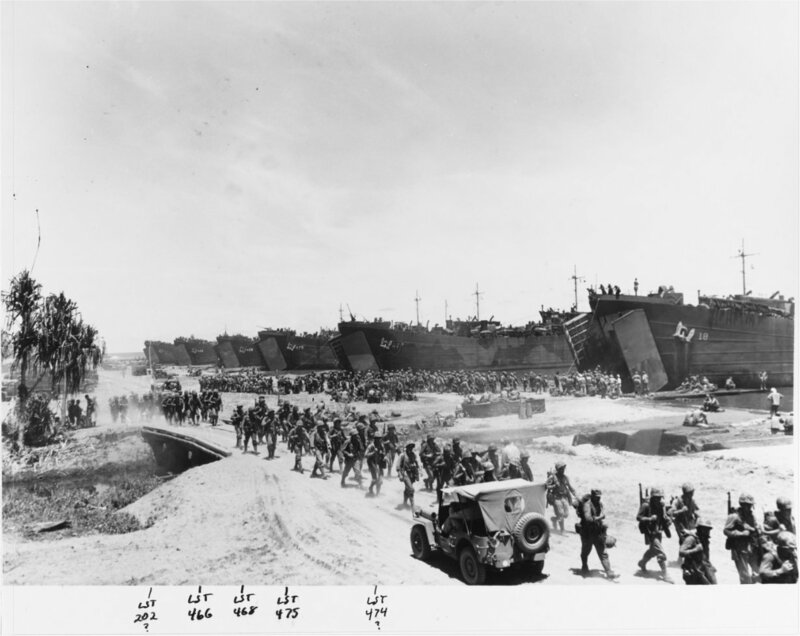 Australian War Memorial photo # OG1030. Australian War Memorial. 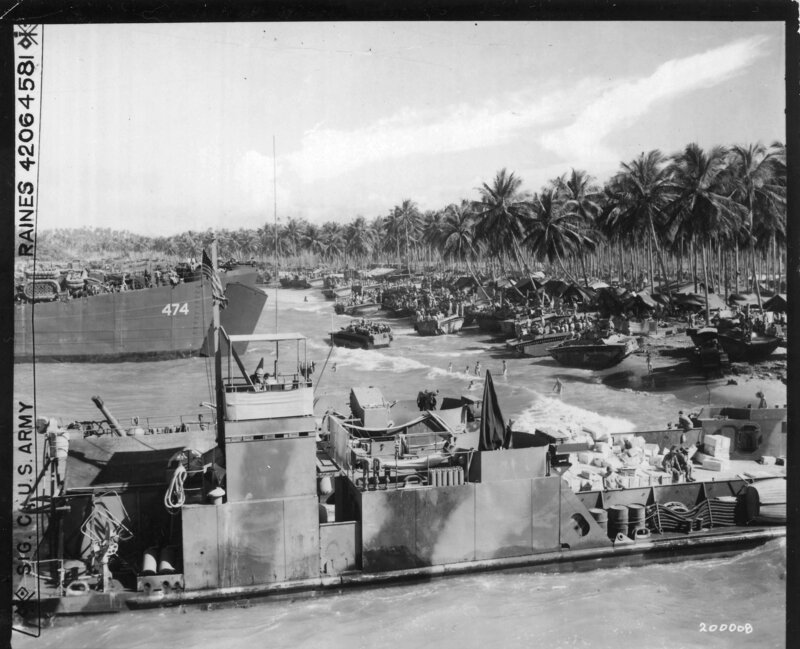 1422k USS LST-474 beached at Aitape, North East New Guinea, 12 December 1944, while Royal Australian and US forces load men and equipment for an upcoming landing. 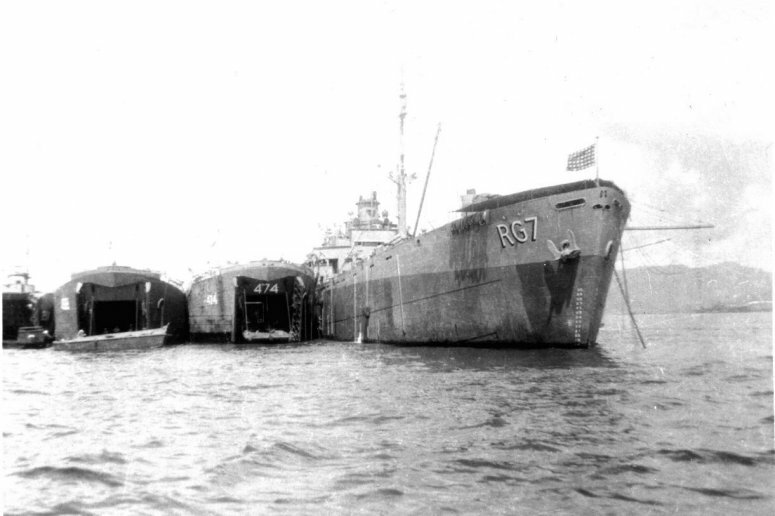 The LCT in the foreground is unidentified. 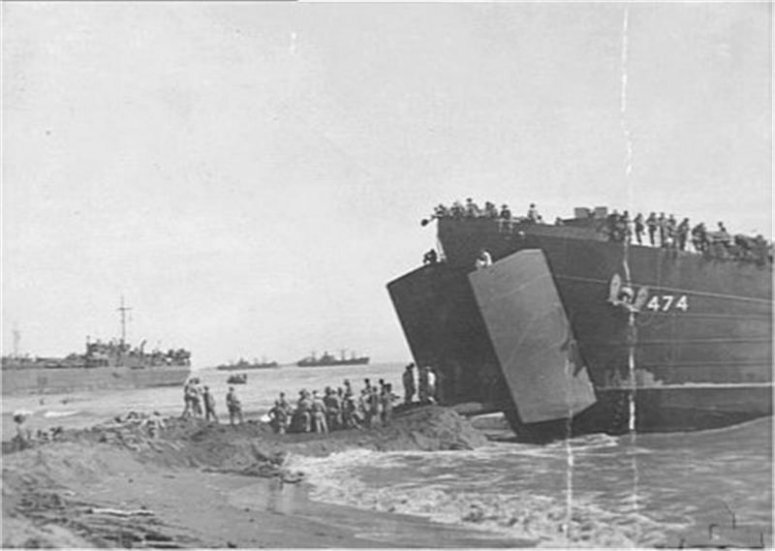 78k USS LST-474 beached at Balikpapan, Borneo, 3 July 1945, while Royal Australian Air Force Engineers of No. 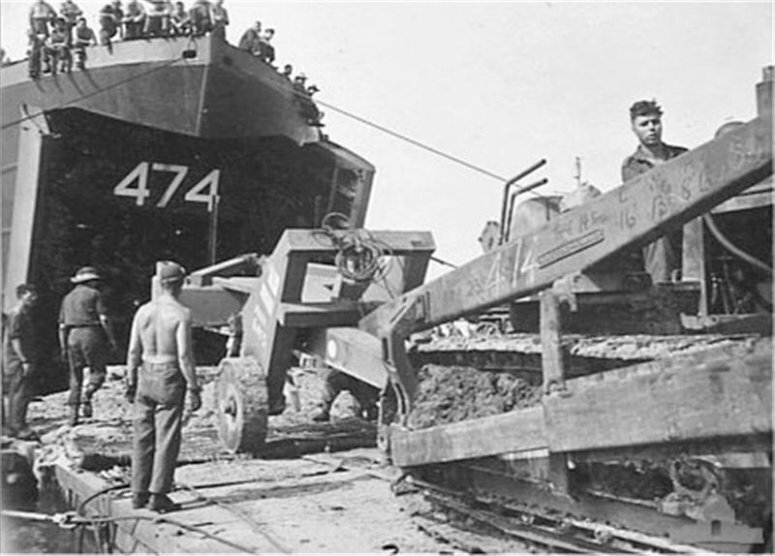 61 Airfield Construction Wing RAAF, unload their heavy machinery. Australian War Memorial photo # OG3033. Australian War Memorial.